welcomes you to Pride in Grooming! 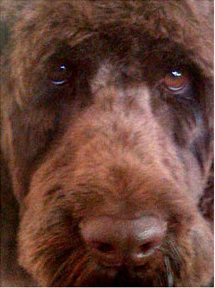 As owner and founder of Pride in Grooming, Greg is proud to provide thorough grooming services (including therapeutic brushing and scissor finish) for all sizes and breeds of dogs. An accredited and experienced professional, Greg understands that you and your dog need to feel comfortable. 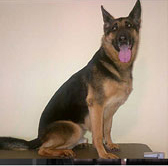 Pride in Grooming is based in a calm and clean home setting in compliance with Canadian Kennel Club Standards. Greg offers first rate services that you and your dog are sure to appreciate. Unleash your dog's wellness and beauty! was born out of a love of dogs. Greg Hudel is a native of Kitchener-Waterloo and graduated from Resurrection High School and Conestoga College. As a welder fitter, he honed his superior hand-eye coordination and precision with hand held equipment. 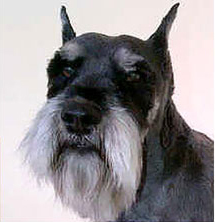 Embracing a lifelong love of dogs, Greg chose to transition to dog grooming as a profession. In 2006, after completing intensive study via the only Government Certified College program available, Greg opened Pride in Grooming. Greg recognizes that a healthy pet is a happy pet! His outstanding grooming abilities and commitment to customer satisfaction are well established. 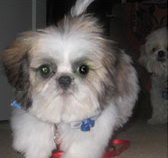 Pride in Grooming welcomes you to discover professional dog grooming services with confidence.